In procurement for the aviation industry? All around the world, the demands on aircraft in civil and defense sectors is increasing. International travel is more accessible than ever, and military presence is globalizing at a great rate. With the pressures of the added frequency of flights felt by ground crew, making everything safe around the hangar is critical. This work on the ground keeps fleets flying. And the dangers presented by activities such as scaling heights are unavoidable. But they can be safer. Far safer. 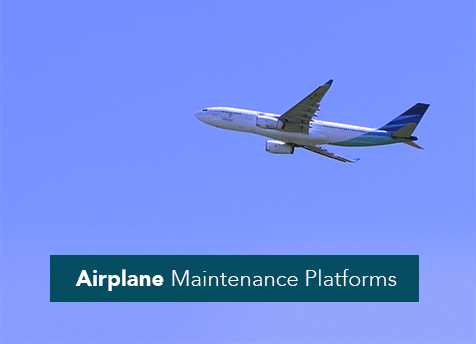 With branches in all major continents, SafeSmart Aviation are the world’s go-to destination for smartly-designed ground support equipment and access solutions such as portable passenger stairs, cabin access stairs, customised maintenance platforms and more. If your aviation business or military workshop requires strong yet light and portable GSE including height access equipment that will reduce injury downtime and increase your efficiency, get in touch SafeSmart Aviation. Get in touch with a SafeSmart Aviation representative today. 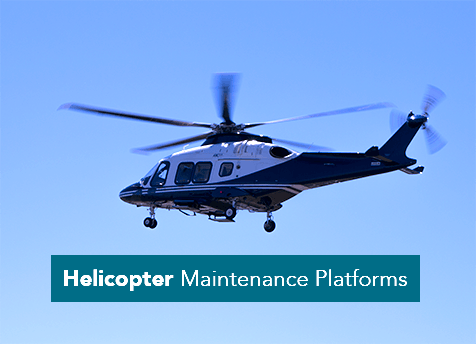 Through regular engagement with aviation’s biggest hitters in airplanes and helicopters—Boeing, Airbus, Sikorsky to name a few—SafeSmart Aviation develops custom-made work platforms in anticipation of new models. A proactive approach to innovation, not reactive. SafeSmart Aviation’s understanding of the maintenance needs of aircraft from all manufacturers is the backbone of its product designs. 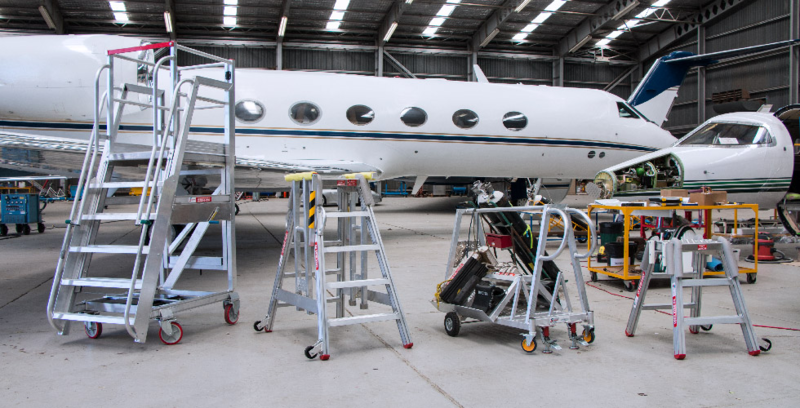 Made from either high-grade steel or durable, hand-manoeuvrable aluminum, SafeSmart’s work platforms are designed to get the maintenance worker to the optimal point of access to the aircraft, without the apparatus touching the fuselage, wings or anywhere else, and without the need to overreach dangerously. Many of our aluminum solutions can be easily packed and transported to temporary maintenance facilities or used at several workshop locations – this is just one of the ways that SafeSmart Aviation are helping airlines grow through improvements in ground support and defense sectors maintain a high level of compliance, even in combat zones.